Our support team will create or modify a store theme for GoMage LightCheckout for Magento ® that matches your existing one. 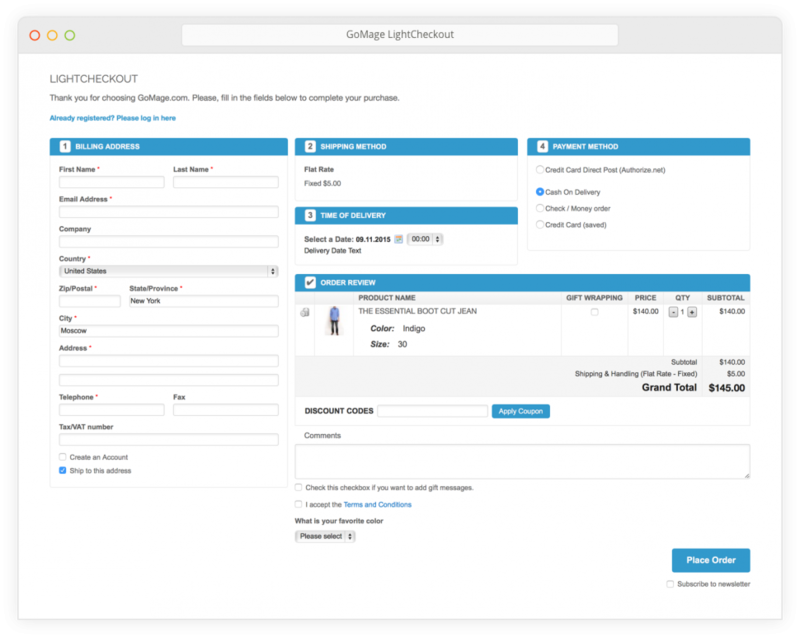 GoMage LightCheckout: One Step Checkout extension for Magento ® optimizes and streamlines the default checkout flow in your online store. 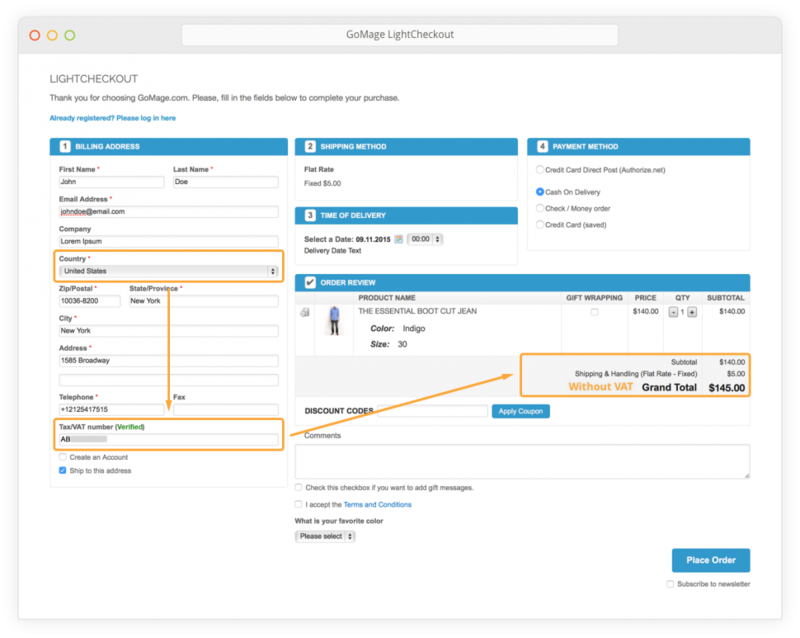 Instead of several pages that users must go through to complete purchases, there is only one joint checkout page where all steps and fields that need to be filled are presented in a clear, organized structure. It is much more comfortable for users to provide all required information on one page. If users see a checkout page which only asks for the immediate data necessary to make a purchase, they perceive it normally and are not irritated by the amount of personal information needed. An incorrectly organized checkout process leads to abandoned carts and profit losses. To avoid this, a one-step checkout is a must-have for all professional online stores. 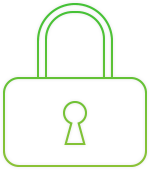 LightCheckout is developed using the best industry standard security practices of strict quality testing and security review. The extension allows you to offer shipping methods in your Magento ® store which are calculated considering the weight of a product, speed of delivery, zip code and box dimensions. This outstanding feature enables your customers to choose and reserve a delivery date and time when they place an order. Let your customers go through the checkout without any distractions, so they can place an order as fast as possible. Establish your own gift wrapping service. 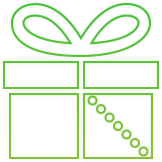 You can offer your customers the opportunity of having their purchases gift wrapped. This feature uses the VIES VAT API which calculates the appropriate EU VAT rates based on your customer’s location and the rules configured on your backend. We have integrated with many major card payments and eCommerce payment gateways from all over the world. 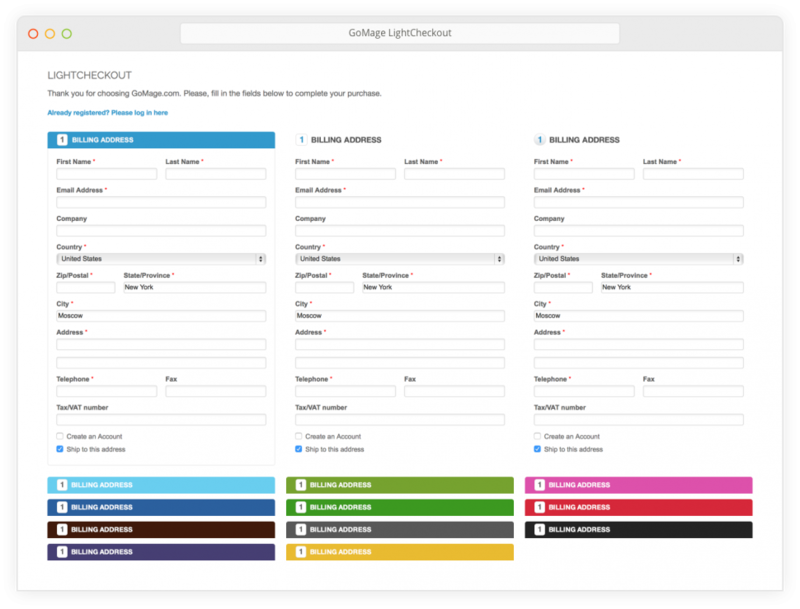 With the built-in theme editor, you can easily change your checkout page view. No HTML or CSS knowledge required! Create your own unique style of checkout page with the simple editing of CSS and HTML code. GoMage LightCheckout is adapted for mobile eCommerce with responsive themes. Your customers can place orders from any mobile phone or tablet. Let your customers choose to create an account on the checkout page or place orders as a guest to avoid shopping cart abandonments. 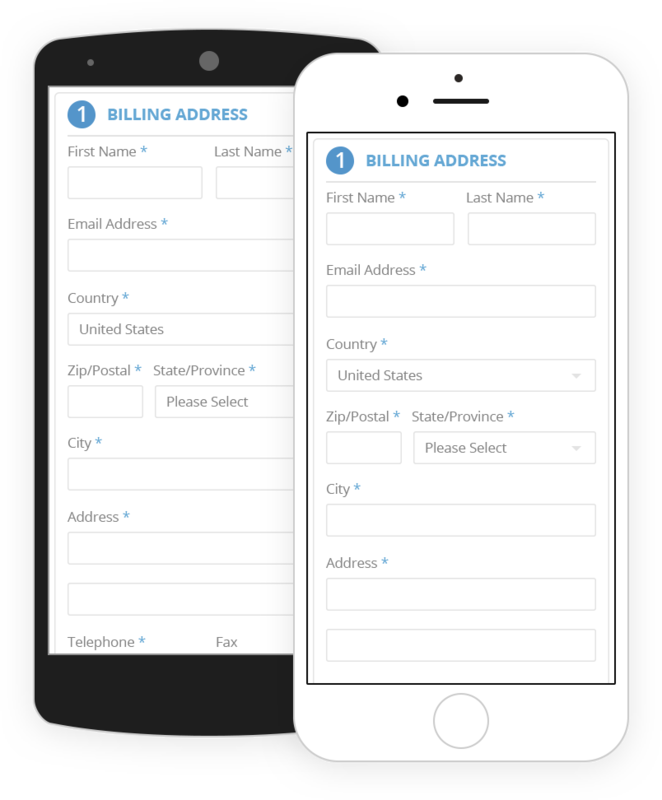 Manage billing and shipping address fields to make the form-filling process simpler and quicker for your customers. Be bright! Autofill country, city and zip/postal code for your customers based on their location. LightCheckout speaks various languages. Currently it's localized into 15 languages and you can add your own one. Also, LightCheckout is adapted for right-to-left direction languages (without translation). 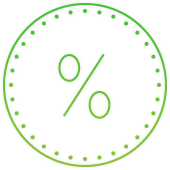 LightCheckout gives your customers the ability to use discount codes and coupons on the checkout page. 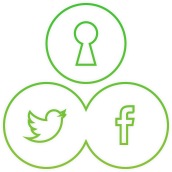 LightCheckout is compatible with the Social Connector module, so your customers can easily login with Facebook, Google, Twitter, Amazon and more. 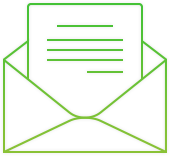 Let your customers subscribe to newsletters and send them information about updates or new products. LightCheckout is fully integrated with all Magento ® product types including simple, configurable, grouped, bundle, virtual, and downloadable. 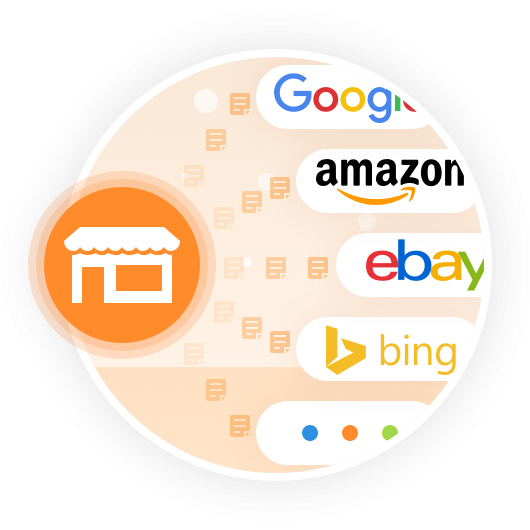 You can easily manage your inventory across multiple stores, process and ship orders, and perform many other backend tasks. LightCheckout is a suitable, pixel-perfect mobile one step checkout page for tablet and mobile devices. Mobile checkout can improve your conversion rates by 25-30%. We bought this extension while the shop is in development. It was customized due to our theme. After upgrading the extension we had problems again but all was solved very fast without asking for money or other problems. We've used a prior version on an old site and recently implemented the latest version on a v1.9.1 site. Works great. Really helps with the checkout process. Had a little issue with one country not populating provinces, and they were able to figure it our when no one else could. Wasn't even related to their extension. Thanks guys. We use Lightcheckout for many clients and really like the extension. Super features and a nice module. We also used their customized services which was great. The Best Checkout Extension and very nice support! I bought this extension for 7 times and i was very satisfied. Everything was fine, very easy integration, easy to set and to use. The support team was always very helpful. Great team and great product ! Best Checkout One page Extension! 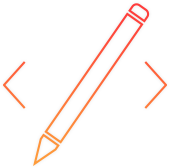 actually, i was searching for many extension for one page check out of my website, i think this one is the best one, its really awesome, i recommend it, also support team are very helpful :). After updating Magento to 1.9.1 the plugin stopped working correctly. After contacting the supportdesk by mail they fixed it real quick! This is the 3rd extension i bought from Gomage and it works better than expect. Also have fast support centre. Very Good option to get better checkout. 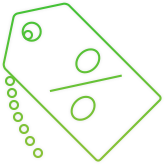 A very helpful module to simplify the checkout process. We recommend it to all our clients and install it for them. The new versions have colour changing options built in which makes the whole process so much happier to go through. Will definitely continue to use this checkout in the future!! I really like this extension, it supports all my other extensions in the cart, it is responsive and it is very complete. Technical support very fast and professional. you will not have problems. I will be using this checkout for many other projects. Just wanted to say thanks for a great extension that clearly improves our conovertion dramatically. Price is affordable and suppoert is excellent. We use LightCheckout for a lot of clients and it works very well. It's especially nice that it has responsive design as well. The support is always fast and good. The extension works straight out of the box as advertised. We had a site using a lot of AJAX customization that caused problems with other extensions. When we did need assistance on a couple of aspects of integration GoMage responded within 24 hours. Great team and great product. We use this extension with different payment providers like payone and it works great. I have several plugins of GoMage installed and they are great. 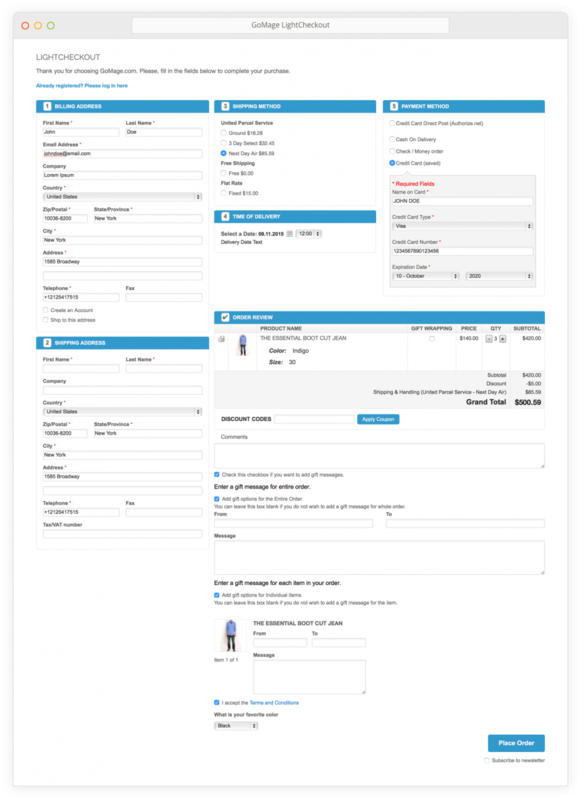 The ‘LightCheckout’ enables the customers fill in all the order information in one page, so you don’t lose customers during the order process. Customer support is great and they have a very fast response time. 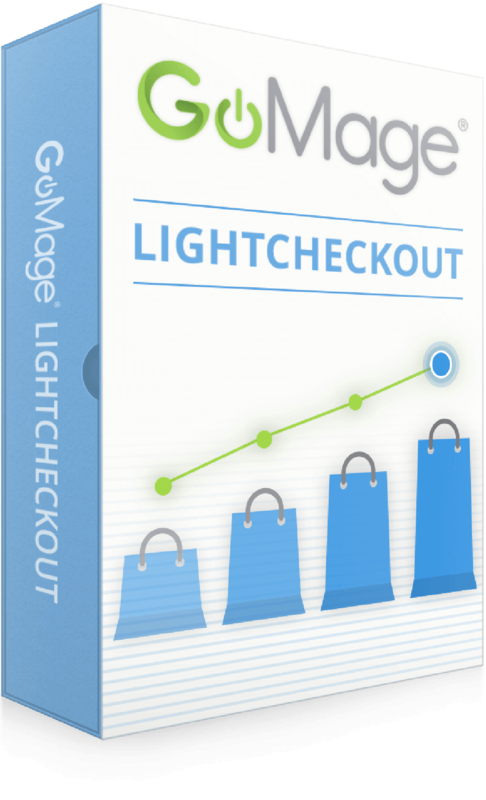 GoMage LightCheckout t is a MUST have extension. 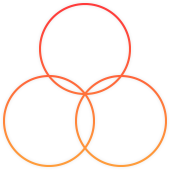 Developer support has been really good and I will continue purchasing extensions from GoMage. Great extension, easy to customise, works straight out the box, no complaints! Great extension with top class support! This is extension is a must have for anyone serious about maximising their conversion rate. The support has been fabulous - super quick to respond to all queries and a great price and speedy delivery to integrate with my custom theme. I totally recommend this as a must-have addition to any Magento site. We are using this extension for our new store to make it more comfortable for our customers to checkout. The extension was easy to install and also easy to customize. As we already used the GoMage AdvancedNavigation and the ProCart extension, we were sure to get a quality template. I've been using this extension since 2012, and am an extremely happy customer. I have found there support are second to non and very proactive and the ease of use that accompanies this is extension is fantastic. This extension is very easy to install and setup. It does exactly what I want and was flexible to fit right into our theme. The developer support has also been outstanding, they get back to us within 24hrs with answers to our inquiries. I would highly recommend this product to anyone looking for an easy to use, lightweight checkout plugin. I love this extension, it's perfect for my company's needs, the customer service have super fast respond and very friendly people. The extension is customizable with more options that we even thought we needed. Not sure if I already reviewed this extension, but thought I needed to tell everyone about the great customer service! This extension is exactly what we needed, and was the only one available which does what we need it to do. Great company. It helped me alot customizing the look and feel of the magento-checkout. I am going to use it in future projects too! It really does the trick, and have gotten us a lot more orders than earlier! Great extension, I've installed and adapted in a couple of minutes on my store and on my custom template. Great support, quick response and little bug fixed immediatly. Announced new features in order to integrate at best with Magento without any additional charge. Extension has a good set of features for the price. At first we had some problems getting it to work with an external payment-extension, but the customer-support of GoMage quickly solved the problems! The lightcheckout interface makes the checkout process much simple, easy and quick for customers to use. It helps make the site look great while increasing conversion. Also, the staff at GoMage are extraordinarily helpful. You will be very happy with the module and developer. 2 years ago i bought my first extension from GoMage - the LightCheckout. Product was easy to install - and nice to see it was functioning with responsive design as well. After a few days, we could clearly see our conversation was significantly improved. Since then we have bought the lincense for all of our 5 shops - even though the price seems high, it's worth every penny. I don't write many reviews but I must say, I am pretty impressed by this plugin and customer support. I have had this plugin for a couple months and had no issues with customer checkouts. The customer support is very helpful aswell. They respond in a timely fashion and every time they respond, you accomplish what you called them for. I'm running Mag CE v 1.8.0 with at least 3 other extensions. This plugin works well and is easy to install. We have installed Lightcheckout on the server and we see a much lower bounce rate on the checkout page. The installation was easy and whithout problems thank to the good manual. This extension is a very effective replacement for the standard checkout and has vastly improved the checkout experience for our clients customers. Any minor modifications that were needed to match our design were easy to implement. Module works well and is simple and easy to use - Good to have checkout all on one page more user friendly. Support service are great also when help was required. Works great on all stores. We were impressed with their online support and the overall service. You can count on them for anything. May I first say, we ended up deciding on the GoMage extension is it fully supported 3D Secure payment processing - A huge requirement here in the UK. They are also one of the few developers to test for compatibility issues. We did have a small issue with the installation, but they fixed quickly and the cart works perfectly. The Ajax loader is far quicker than most others we have tried, and the interface is easily customisable with basic CSS knowledge. Other features, such as the ability to edit your cart on the checkout page are unheard of, and very useful. I'd recommend anyone giving this a go in favour of cheaper and more expensive options. This is the 3rd one step checkout we have tried, and the only one that was able to do the job as required. 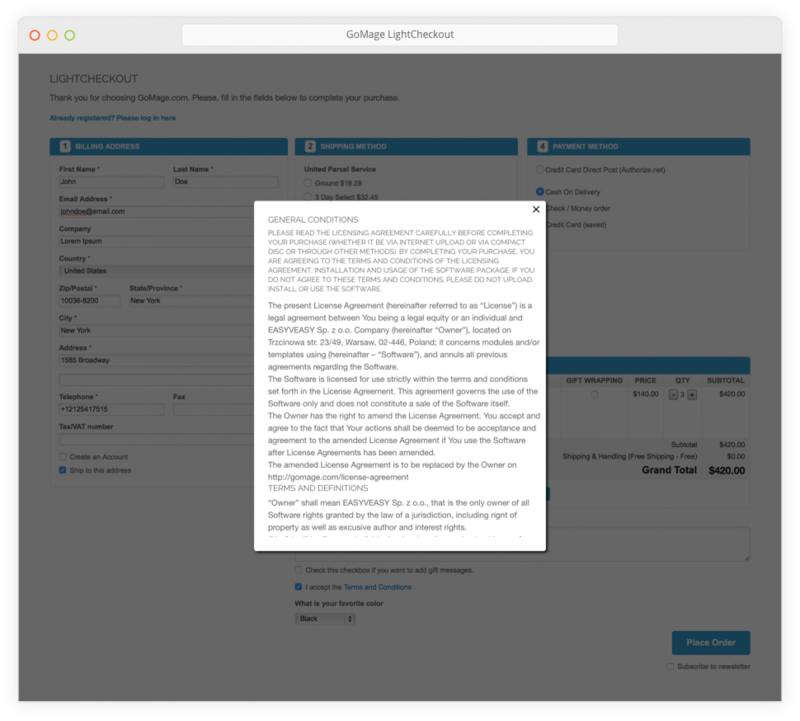 GoMage's LightCheckout was easy to install, configure and theme to our site. After a month we analyzed our data and saw a decrease in cart abandonment at Checkout page and substantial increase in conversions (from a dismal .9% pre-one step checkout to 2.1%). We are hoping for even more conversion rate improvements as we update the look and usability of the checkout with our own copy. We have been using this checkout for quite some time and it is working very well. It is an expensive module, but worth the money - and I have to submit this as a thanks for the great support theese guys provide. Today I discovered a problem with the license key (my fault, since we changed base url) - they answered the first email within 5 minuts and the problem was solved in about one hour. Great extension, great support - it is a no brainer really. This is an excellent extension making checkout very easy and clear. I'm pretty sure it improves my sales. Functions as described and developer support is fast. Thanks for this solid extension! was happy to get a one page checkout that works with my partner payment solutions as NETs and KLARNA. After som server fine-tuning and some easy skinning I was ready to go. Really good support team, fast and reliable fix the issue. 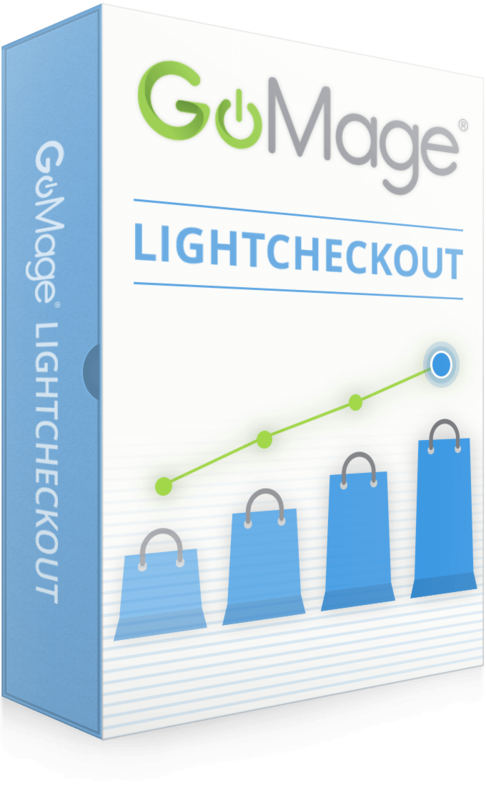 Every Store needs lightCheckout by GOMAGE. This extension has increased sales by 10% in the first 10 days. We needed some customization to the checkout and they were able to add within 1 hour after purchasing. That is customer service!!!!!!!!! Please make some more extensions!!!!! The GoMage Light Checkout module transforms the default multi-page Magento checkout process into a brisk and pleasant experience for customers. We're not overly technical, but we were able to change the look and feel with relative ease in-house. For more complicated changes we used GoMage's development team who are effective, reasonably priced and a pleasure to deal with. I'm writing this review today because we encountered some issues 5 months after the installation and development which we had overlooked at the time. I contacted GoMage and they got it sorted within a matter of hours. I use this checkout on every site I make now and everyone loves it. I start the sites with the basic checkout, but all my customers go with the GoMage checkout after they see the difference. I've added this extension to 10 sites and upgraded on 3 others. It's worth every penny and is one of the few 'must have' extensions. Very customizable. It's pretty easy to customize most of the checkout page in the admin backend and that's really nice. This is a new feature of version 5.x+ and made me very happy that I upgraded. Pros: less abandoned carts, much faster checkout, easyish install, even with customized themes. It's a really great extension that's going to pay for itself in the long run. Cons: odd reaction to some containers, no inline login. The top of the checkout page has a clickable link that nobody seems to see, so you'll get a lot of calls about the checkout failing. To get an inline checkout is an additional $100, which is something I think should be included with the checkout. Overall, I recommend this extension to anyone, but I do wish the inline login was something included by default. Support is above and beyond! GoMage is really a first rate company. Their products are terrific and the support goes above and beyond any expectation. Absolutely great extension. We've been using it for over 6 months(multiple clients) never had a problem. Support is always there for you. Love to work with these guys. I'm using this extension for 2 years and yesterday I'm updated it to version 5.0. Guys you are GREAT! Really fast support. It's very important not waiting for days for an answer because my bussiness is working 24/7. Hi. I just want to make a review for Lightcheckout 5.0 that I happily use from 2 days. Comparing 5.0 to 4.2 this is huge milestone.And from now I will recommend this extension to everybody, especially for merchants from EU who needs to properly set taxes and validate VAT-TAX numbers for their customers. This is the only one extension that has this feature built correctly. Also I must notify great support of WDCA Sweet Tooth Points - the slider optimizer works correct and also catalog rules actions are visible on product rows at checkout. This is very usefull and You will definitely by happy using it. I think also AJAX and JS updates are improved in 5.0 so customer will not wait for refreshes. This extension sould be standard! Been using this for two years, great! I've been using LightCheckout for the past couple years and it's been working great. There support is top notch and I've had no problem with the software, it's easily customizable and fits my needs perfectly! I purchased the LightCheckout extension and asked GoMage to customize the extension for our e-commerce site. The support team was very helpful in producing exactly what we needed to launch our website! I would suggest this extension to anyone looking for a one page process for check out and I would even say that the customization they do will enhance the customer experience further. Thank you, very good extension and great support - recommended. I am using this a few months, I find it works well. I looked into all the other ones before using this. It seemed to have more features. I found gomage always got back to me in reasonable time. I would buy this as it is well supported rather than buying from a company that has a ton of extensions and barely supports any of them. I think gomage should make a responsive version to work across many things like ipads and mobiles. Then they would really stand beyond the competition. Very pleased with this checkout system. I ordered it with installation, customization, and also needed code tweaks to make it work with another extension I had installed. They had it all done in 2 days and it works and looks great now. I bought and uploaded the plugin today but it wasn't working correctly. I sent an email to the support team and within 40 minutes it worked as expected! Thanks, you're rock! Great extension! It's easy to customize CSS styles and settings in extension. Look of the lightcheckout is also easily customizable. Thanks! Great support. I hired them to do a customisation of the plugin. They did exactly what I asked them to, quite fast and for a really good price! This extension works fantastically, and their support was very quick when we needed it, solving our issue almost straight away. Thanks to the GoMage team for an excellent extension. I use this extension on 2 of my sites, and it works very well, customers are very happy with it. fast friendly and professional service. Thank you for quick support! Thank you for quick support! The extension is installed and working (on Magento 1.5.0.1 CE). Great support, quick to respond. This extension is easy to configure and works well. I researched all of the one-page checkout extensions and this one seems to be the best. 1. This extension is active (i.e. they keep up with every new magento release updates - for example, CAPTCHA, which was added in magento 1.7, is already added in this extension - which was a must for my requirement during checkout). 2. Support team responds immediately without any delays. 3. Extension was extremely easy to install - took me 10-15 minutes - just had to follow few very simple steps outlined in their installation guide. 4. I have not run through every single things, but overall, works like a charm - no issues. Having said that, I wished I could use this extension on my local development environment (i.e. http://localhost URL) - today, you cannot use this extension on local machine - it requires unique URL registration when you buy it which I guess is understandable for the license protection. However, this would have made my life lot easier - but not a really big issue for me. This is a must have extension and the support team are amazing! They went out of their way to make sure we were set up correctly. Just the nicest bunch of guys - thank you! Highly recommended. Awesome extension, worked a lot better for us than the original onestepcheckout. Support is fast and thorough. Recommended!! Verry nice module, with good support. Questions thru email they reply fast with good support. We advise this module for youre Bussines! My experience with Gomage Light Checkout has been great. It not only does everything I need a checkout system to do, but the support for custom development was exceptional. I use other 3rd party extensions for shipping which I expected not to work with any 3rd party checkout extension due to the complexity of it. GoMage happily did all necessary customisations and in a very timely fashion. Very satisfied. extension useful and very well done. Outstanding support that has worked great for a problem with my site. I highly recommend the team gomage. No risk, here you go! These guys are awesome!!! Can't say enough good things about them. I have customs template store and ran in to some issues but they worked through them and everything is working fine now. I highly recommend them! Customer service is top notch and a great extension for Magento. I really appreciate it GoMage! Good to work with Gomage Team. very helpful. Looking forward to using other Gomage products soon. This extension works great, and the support is quick and good. They also fixed an issue we had with another module. I bought this extension and GoMage Advanced Navigation v.2.3. Everything is working great. Customer Service is great. Great Buy! the extenssion is perfect, fast with a great a look, but the support is really amazing, they have patience and they really try to help the customers. i will be buying some more extenssion soon. This Extension is amazing. I've had LightCheckout since the first version, and has worked effectively in many ways. The GoMage Support Team is also amazing, responding to questions quickly and informatively. I will definitely be buying another extension from them, mainly due to the quality of the extension and support. Great Extension and support! The extension is well coded and is far superior to all the other extensions out there. It's even better than the one from onestepcheckout costing a whoping $320! Believe me I've tried them all and this one far exceeds it's competitors. Had some trouble at first, but Gomage support got it up and running within minutes. Don't look further, this is the one you need! A one step checkout is miles better than the Magento default checkout. This one looks great and has all the configurable options you'll need while being less expensive than it's main rivals. The best thing about it is the first class after sales support I had from Yuriy at Gomage. Quick to answer questions and when I couldn't figure out a problem with installation he had it fixed and working within a few hours. These guys really want you to be satisfied and make every effort to help and get their extensions working right. Great service. If only all Magento developers were like this! A great extension and the customer support is quick and friendly. Works smooth in my 1.6 version of Magento. I've purchased the Gomage LightCheckout for four websites now, and have required technical support for every installation. Gomage provided excellent technical support and even worked via FTP and the admin login to resolve the issues on multiple occasions, despite the fact that the issues were caused by my installation and setup of the website rather than problems with the extension itself. Good experience overall. Just wanted to say thank you for excellent support - had a small problem installing GoMage LightCheckout (which was not related to this extension) and GoMage pulled out all the stops and had the problem resolved within the hour! I was torn between One Step Checkout v4 and this extension and at the last minute changed my mind and purchased this one instead - it has all the features of One Stop, half the cost and excellent support. Since we have installed we have noticed the average time to checkout has gone from over 3 minutes to under 1 and have a zero drop out rate on the checkout page - let hope this continues - it will have paid for itself with in days! Additional they have helped customise the extension to help fit with our exact requirements again with super quick response and excellent attitude. Again thank you for you help - would recommend and use again for future projects. Excellent module, you can customize it a lot and the support is great. And the pricing compared to the competitors is very good. Great extension, easy to install and plenty of options. I needed some customisation work and it was done quickly and efficiently. Reccommended. I have recommended and installed this extension five times. The product is excellent value for money, support is prompt and knowledgable, and it simply beats hands down similar products on the market in functionality and value for money. We really recommend the extension for everyone, especially if you are currently using the default magneto checkout. Their support is great and if you need any customization you will be happy to work with them. They changed the checkout for our needs (adding Age Check against a third party). They did it quickly and it ended up really good. They were also flexible when the design needed to change. I really recommend the extension and the company. The first product I got, I was so impressed that I immediately got GoMage's other products. Would surely recommend these products. Just purchased this extension and had the GoMage team install it. Amazing service and the feedback has already been great. This is a must have for any e-commerce store. Great work guys, and thank you very much. I previously stated the extension was 10/10, its probably 15/10! Very easy to install and setup with a multitude of configuration options. 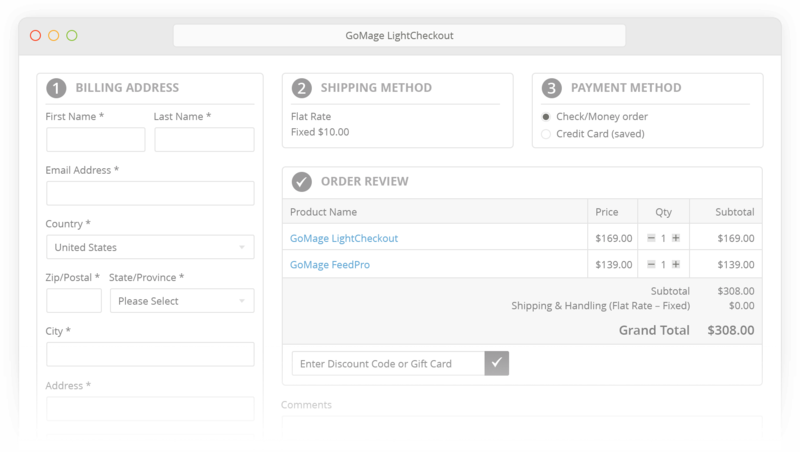 We were looking for a good Checkout extension to replace the default Magento checkout, which as every one would agree is plain terrible.GoMage LightCheckout is well priced and looks great. We think it has the best layout of all the checkout extensions available. There technical support are very supportive and were prompt to assist with a small issues we had. Easy to install and manage! I had problems with my prices and these guys helped me out for days and managed to fix my problem (that I had spent many days before not being able to solve). Bought this extension again for another site. Bought this extension again for another site... Last time around, I was able to install the v1 perfectly on a 1.4.1 setup. This time, we tried the v2.3 and everything worked except we had issues with the CC# not displaying within the Sales Orders section... but GoMage solved it! We contacted GoMage, who were able to fix this for us within less than 24 hours. Great turnaround time! The newest version is definitely faster. The layout is improved as well. I can't imagine not having this extension. It is 10 times better than the default checkout that Magento comes with. We have seen a considerable boost in conversion rates using this in the past. We were able to recoup the cost of this thing in no time. Speaking of cost, most alternatives are more expensive and don't have the same features. Custom checkout modules can be a fortune too. This is definitely the best checkout extension out there IMO. The extension is great! THE CUSTOMER SERVICE IS BETTER! I received prompt and professional service within a couple minutes. Support Team really goes out of their way to help you. Great extension, the best one-page checkout out there in my opinion. Installation and setup was very easy with well written installation- and userguide (many other developers could learn something here). And the support is fast and good - even in weekends. Nice extension! The best support! I decided to buy between onestepcheckout or lightcheckout and bought the last one, because they have a similar functional and lightcheckout is almost 50% more cheaper. I paid $174 for LightCheckout and additional 5 domains instead €245 ($345) for OneStepCheckout with 1 domain. Thanks a lot - your answer solved all my problems after several days struggling. Great Module working in 1.5.0.1. Support worked great for me. I installed the module (very easy) and it was not working fine with table rates. I asked for support and they solved it. Module is working ok now in 1.5.0.1. I'm happy with the product and the support team also. This was too easy. Fantastic support and easy to follow installation directions. It "just worked"
Fantastic product and a must-buy for any serious e-commerce websites. I've heard people paying thousands of dollars for extensions like this one, with less than half the functionality. Not to mention, the support is always there! Great product, easy to install, brilliant support! Bargain purchase compare to more expensive solutions. Bargain purchase compare to more expensive solutions. An absolute breeze to set up. Perfect product and seamless integration. Perfect product and seamless integration. It works 100% of the time. Great support as well A+ All around. The product is excellent and has helped us convert more sales. The product is excellent and has helped us convert more sales. It works with all our other extensions, and when there was a conflict the support guys had it fixed within no time. They are responsive and highly skilled in Magento. Support also extremely fast... what can i say? The polish know how to build good tanks and they know how to code. Looking forward to updates if you guys think of something to add. These guys are AMAZING! I can not tell you how wonderful, quick and intelligent they are! They have installed the module, made some revisions (that other companies would charge extra for) and made my checkout process easy and painless for customers. Highly recommend - and will be telling fellow Magento users about this. 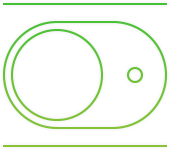 There is no need to pay extra for the other major competitor's check out module, this one is perfect and with the customizations they did for me, you can't beat it. Just do it! My oh my. That was some speedy support. After working hours as well! I will certainly trust GoMage again!! I bought this extension and the support team from GoMage kindly installed the extension. I am truely satisfied with their service and the extension. This extension is a must for each online store, it truely increases the conversion rate and the sales. Purchased this, had it installed in about 20 minutes and found one tweak that I needed to make. Emailed support and had an adjustment just as I needed by the following morning. Great product, thanks GoMage. I install this great extension, but after install i have some problem, because im dont have big skills about magento, i contacted support and they help me solve that problem for a few minutes. Now works perfectly. The support from GoMage is excellent. We got them to do the installation for our site. Since our site is heavily hard-coded, we didn't want to risk installing the extension on our own (other extension broke our site before). GoMage support team was extremely efficient. Despite the slight problems we encountered with the checkout page, they fixed everything and got the Light Checkout extension working within hours after we placed the order. Worth every penny! Great work, Very good Customer support ! Easy to install and works great ! Great Plugin. Easy to Install. Great Service. This plugin is a vast improvement over the default Magento checkout. It is much cleaner and simpler, and helped us raise conversion by about 4% in a store that was already well optimized. The plugin, with options in Magento backend providing a lot of control. Easy to install, worked right out of the box even on a custom theme. The plugin was well documented, with two well written pdfs covering installation and usage. We had a few small tweaks that we wanted to make and could not (due to our own stupidity). An email to customer service was answered quickly and authoritatively. We are very pleased with our purchase. Thank You! Jeg købte dette produkt, og det er virkelig pengene værd! Layoutet er virkelig fedt, og det er vildt nemt at placere sin ordre. Servicen fra supporten er i top. Jeg havde lidt problemer med at installere programmet, fordi jeg er lidt dum til Magento. Jeg skrev en mail til supporten, som var utroligt hjælpsomme og fiksede det hurtigt. Jeg vil helt sikkert anbefale andre at bruge denne extension. I bought this extension and it is really cool and definitely worth the money! Further more the service by the support team was fantastic. As I'm not that good at Magento yet, I had some problems installing the program. I wrote the customer service who answered quickly and helped me out in no time. Now it works just fine, and I can't wait to see the customers reaction. Few customization was needed and made by the great support staff. Great Extension. It's flawless and easy to install+configure. The support is 2nd to none. By the way, I never saw such wide list of supported languages in similar extensions. Usually it is at least two times shorter. Good job! The extension really works. I have purchased it three weeks ago and up to now my sales increased by 40%. I believe it is a very good result for such short period. I received a review from one of my customers today that says that he is happy with my customer support and quality of service. Particularly he mentioned easy checkout procedure. Thank you. Sehr gute extension. Einfache Installation und arbeitet genau wie beschrieben. Hatten zuvor zwei gleichartige Produkte getestet, die jedoch nicht mit einem benötigten Zahlungsmodul kompatibel waren. Änderungswünsche unsererseits wurden freundlich erfasst und blitzschnell (über Nacht) eingearbeitet. Very good extension. Easy installation and works like described. We tested two similar products but they didn't work with a needed payment method. A request for modification was implemented very fast(over night). Very friendly support team. This is a great extension - works perfectly! The is a very clean extension--installed easily, works fast and will lead to more conversions. Highly recommend! worked perfect right out of the box (which is more than I can say about so many Magento extensions)! I don't care what the code is based on as long as it does what it says it does! Extension works well. It's too early to see an increase in conversion but I feel confident there will be one. GoMage installed quickly and we had them do about 4 hours of customization which was done quickly and accurately. Highly recommended! I was very pleased with this module. There are several module out there but after looking at them we went with this one. I was very happy with the support from them! When initially loaded, the checkout page would "udpate" (or refresh) after the ZIP, CITY, and STATE field. In my opinion the Zip field was the only one that should require a refresh (for available shipping methods). Vadim with gomage quickly provided new code and also gave me the original coding if I wanted to change back. 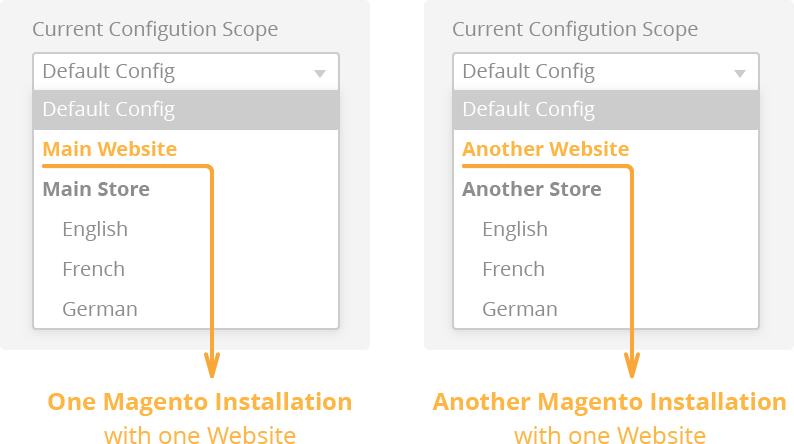 This one allows you to use multiple domains with one magento install. I paid $5 to use 1-5 domains. It works like a champ and our customers are going to really like it. They have several different graphics to choose from or you can just create your own custom stuff. Their graphics went well with our theme color so I did not have to mess with creating any custom stuff. The only problem I ran into is that we use the Aheadworks - Checkout Promo module and I am going to have to modify that module for it to properly show show custom blocks at the top of the checkout page. I should be able to fix that when I get time. Bottom line is the module works great, good flexibilty. I like being able to easily sort the "contact info" fields. I can't think of any cons per say except what I already laid out but they were resolved. The customer service was about the best I have had with purchasing modules. Many Payment and Shipping methods work perfectly with the GoMage LightCheckout extension, including all default methods integrated in Magento ®. Below you will find the extensions we have tested. Full compatibility with PayOne v. 3.3.11 extension. "Billing is not defined" bug fixed. "Loader issue with payone debit_payment method enabled fixed. Full compatibility with Security Patch SUPEE-9767 and Magento CE 1.9.3.3. 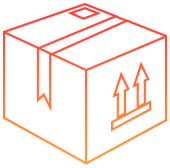 Improved the shipping block functionality to add compatibility with more shipping methods. Fixed an issue with Ebizmarts SagePay SuitePro extension. Fixed “Email address is required” error for registered users. 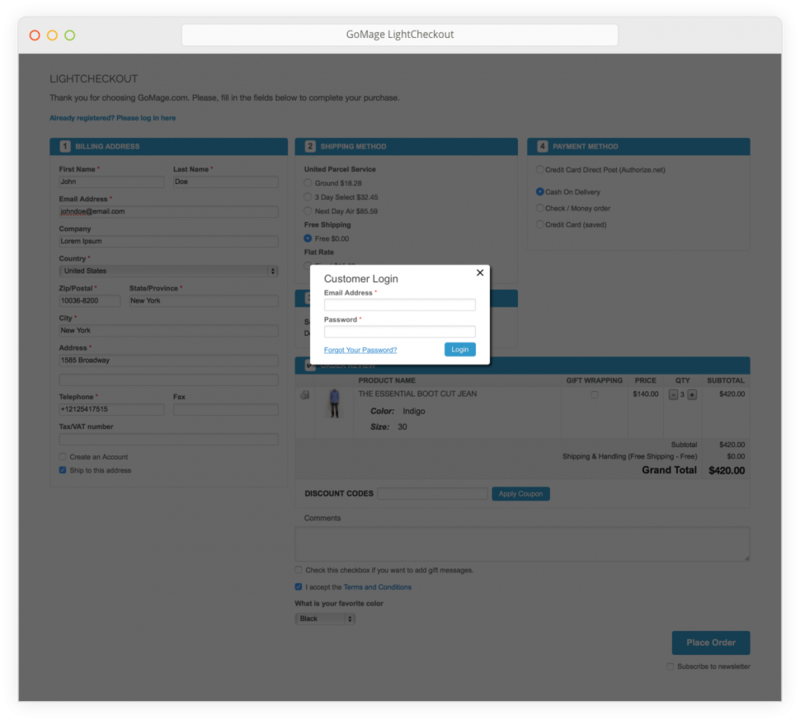 LightCheckout extension is designed by GoMage to enhance and refine the closing process of shopping in online stores by putting together the final steps of checkout procedure. In place of many pages in an online store checkout, there is only one closing page – One-step checkout. As reported in eCommerce statistics, about 50% of online customers are lost in the finishing phases before payment, which is why this stage must offer maximum client usability. GoMage LightCheckout, as a one-step checkout for Magento ®, takes into account all peculiarities of completing purchases online. With more than five years of experience, we bring the best eCommerce practice to GoMage LightCheckout, which you can implement in your online Magento ® store. General Settings In this section you can identify all main parameters such as default country, shipping and payment method. One Page Checkout extension by GoMage meets all requirements of PayPal and many other popular payment systems including all the default methods integrated in Magento. Registration It depends on the audience but registration can be set as mandatory, and you are able to disallow guest users to make orders in your online store. Design If the pre-installed design does not harmonize with your corporate style and design of your online store, you can change the buttons or blocks of the checkout page and do not have to hire a professional frontend developer to do this job. Without specialist knowledge or skills, you can change all the necessary elements, adjust the size, background, text and colors of the checkout blocks, using ordinary colors or HTML Color Codes. Devices We recommend showing the One Step Checkout extension on PCs, laptops and all mobile devices but settings are flexible and can be specified. Delivery Date It is a strong good advantage if you can implement a ‘Time of delivery’ service that allows customers to choose a convenient day and time for delivery. One Step Checkout enables this. 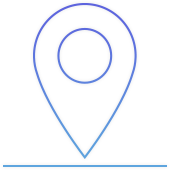 GeoIP Settings If this functionality is enabled, the system can determine the client’s IP and automatically identify the address data such as country, state, city and zip code. The paid version of MaxMind database is required for the State/Province option to work properly. Ajax Settings One Page Checkout extension automatically updates information in the Shipping and Payment Methods blocks when the country, region or postal code is selected. EU VAT/Tax Settings Because the module is integrated with the VIES system, you can activate VAT number validation that checks EU VAT numbers and allows VAT exclusion from total cost. You can include specific Terms & Conditions and poll questions within the checkout process, as well as a gift wrapping option to help organize extras services connected with décor and packing of purchased products. More detailed information about GoMage Light Checkout: One Step Checkout for Magento ® is available in the Wiki System. Adapted for right-to-left direction languages (without translation). 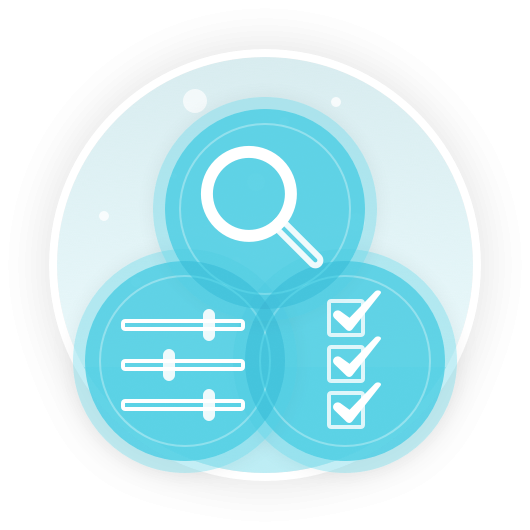 Advanced Navigation extension optimizes your site by improving navigation and product filtering, allowing customers to quickly find what they are looking for. 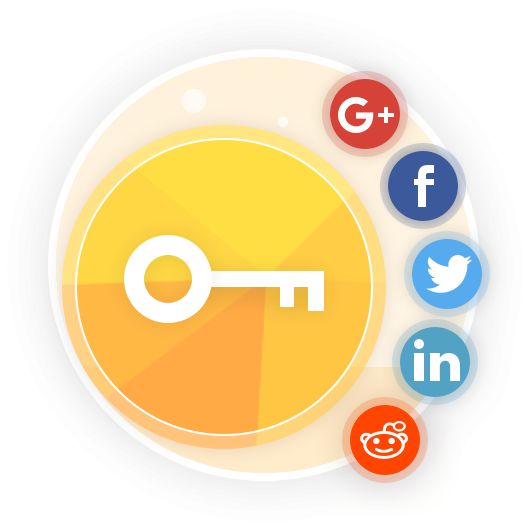 GoMage Social Connector allows your customers to login with the most popular social connectors: Facebook, LinkedIn, Google, Google+! and Amazon.